A lot has happened in the last couple of months. I know a lot of people have been asking and information has come out sporadically here and there. First and foremost, I appreciate so much the support from everyone. It has been difficult for sure, but I am trusting God’s sovereign plan and purpose. Earlier this spring, in mid April, I started to feel fatigued throughout the day, a building headache, and periodic low grade fevers. I went to the Dr. and some blood work came back positive for Lyme disease. I took antibiotics for 3 weeks but didn’t feel better after the cycle (in fact I felt worse). I then took another 10 day cycle to see if it helped and it did not. On June 19, I starting to get sharp pains in my lower back, stomach, and chest. I went to the ER where they preformed some tests and found a 6 by 7 cm mass in my chest. They preformed a biopsy and confirmed that it indeed is cancer. The initial diagnosis is Thymic cancer, for which there is no cure. It had spread all over my body and onto my bones (chest, ribs, and spine). On July 1, I was readmitted into the hospital so that I could have my mediport (port in which the chemo is administered) and chemo given on July 2nd. It was a super strong dose. Chemo does two things, it attacks the cancerous cells as well as attacks your body’s good cells. So the first few days are rough and was full of vomiting, soreness, headaches, indigestion, and constipation. It is not fun for sure. But after 7 days the body turns a corner and I have responded well. I haven’t been taking pain me, and have been virtually pain free for the most of these 9 days. This is very positive that my body is reacting well. Because of the aggressiveness of the cancer, there was a fear that the cancer had spread into my bones but thankfully the bone marrow scan was clear. This is encouraging news for sure. As of now the initial diagnosis is that it is Thymic. There is a small ray of hope that it is not Thymic as an expert I am seeing at Georgetown has seen some irregularities that are not consistent with Thymic (on the PET Scan) and has some questions. I am officially working with Doctors at the Lombardi Center at Georgetown Hospital. I am blessed to be there as they are very good at what they do. They will help put together a great treatment plan. My next chemo is scheduled for July 25th. I wish it was sooner as I can’t wait to get back in there and beat this! However, my biggest ray of hope is that God has a purpose for me. And that has always been to bring glory to Christ. I believe in his ability to miraculously heal my body, but beating cancer has very little to do with beating it in an earthly sense. Cancer won’t beat me because it can’t take away my hope and joy in the the salvation that Christ provides me. Is it scary?… oh yes… Is it hard?… the hardest thing I’ve ever faced… But is my sovereign God not in control? He most certainly is in control. I will hold onto that each day and fight my best to heal my body and fight each day to trust God. The most important thing I can ask for from anyone is PRAYER. The bible asks us to bring things to him. So let’s glorify Him and bring this to his table. Thanks for asking about me and being there for me. It means more than I am able to describe. I love you all and will hope to connect with you all soon. 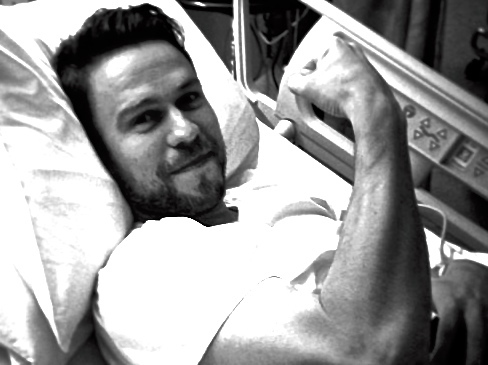 You can support Shawn by donating here and joining Team #Kuykenstrong. Shawn, you and your family have always been such an inspiration throughout my life. You are in my prayers and my family’s prayers. We love you Shawn. I have never met you. But I do know that there are few people that have influenced my husband (Morgan) more than you and your family…He has spoken highly of you many times in the 9+ years that I have known him. Your post is so inspiring…Your desire to serve and glorify Christ and to spread love and light is so evident. We will be praying every day for healing, trust, and peace for you and your family, and wisdom for your doctors! I know that you have tons of love and support surrounding you, and know that we’re sending lots of it from Ohio, too! You are an inspiration to us all–on and off the field. We are praying for you and sending positive energy your way…..
I’m a stranger to you Shawn – a reader of Elizabeth Foss’ blog, in which she asked us to hold you in prayer these last couple of weeks. Your testimony to the sovereignty of God through this experience brings Him glory, and I pray, ongoing peace to you. Praying He will sustain, comfort and strengthen you in health and faith. Keeping you in my thoughts and prayers. And sharing your story so that others may join in lifting you up in prayer, as well. Our family knows the struggles and the battle with cancer all too well. You are so right in stating that cancer can not take our joy. No way, not when your hope lies with Christ. God bless you and your family, you are in our prayers! Thanks for sharing about what you are going through and it is so encouraging how you are living out your faith and trusting our Almighty God. Our boys, Alex ask been asking about you and praying for you regularly since he heard you were sick and had to miss Kicks for Christ. May God continue to give you and the doctors wisdom and strength as you fight this. I do not know you Shawn, yet I am inspired by your faith and your burning desire to be healed for the glory of God. I think God desires healing for all of us and He came to perform miracles of healing and restore our hope…..Hold on to that and let nothing disturb your trust in Him.I think a strong spirit can sustain the flesh. Be inspired by the words of scripture which say “Blessed is she who believed that what was spoken to her would be fulfilled” Your faith CAN heal you. I will fast and pray for your total and complete healing! Praying for you Shawn – trusting in the One who loves you with a fathomless love. I am also a reader of Elizabeth’s blog. You are very much in my prayers. I have seen other people’s faith shaken by much less than what you are experiencing. Your example of faith is awe inspiring. Thank you for sharing this with us and for allowing us to bring your prayers and ours for you to God’s table. God Bless you! My prayers are with you Shawn! You are an inspiration to many! God Bless you!! Shawn, I am one of Elizabeth Foss’s readers as well, and I want you to know I am praying and sending God’s healing Light to you, holding you in prayer and holding a vision of you, healed and whole. May God’s Peace, Blessings, and Healing rain down upon you! We keep you in our thoughts and prayers. We know how strong you are! I Read Elizabeth’s blog too and found this, praying for you from Australia. God bless and keep you strong and hold you through it all.